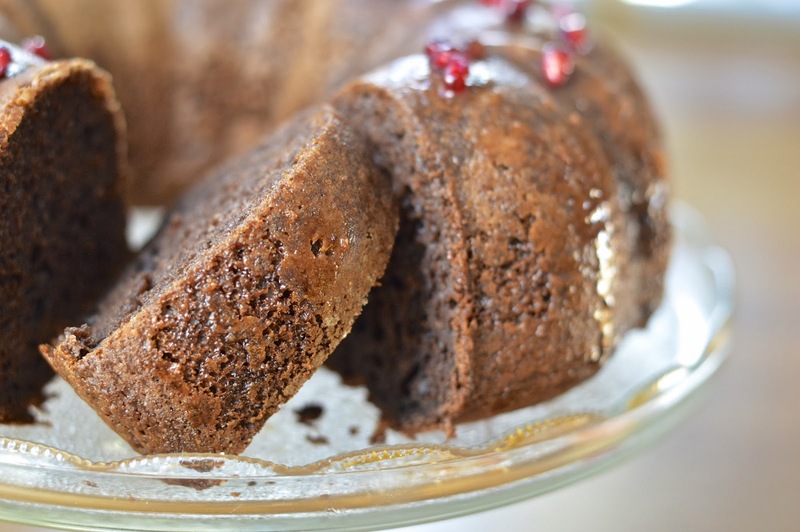 This incredibly easy Cheater's Chocolate Pound Cake with a Pomegranate Champagne Glaze is a New Years must! The idea for this cake was born on the snowy plains of Edmonton, Alberta. My lovely Mother In Law brought me some well-loved cookbooks to peruse by the fireplace. 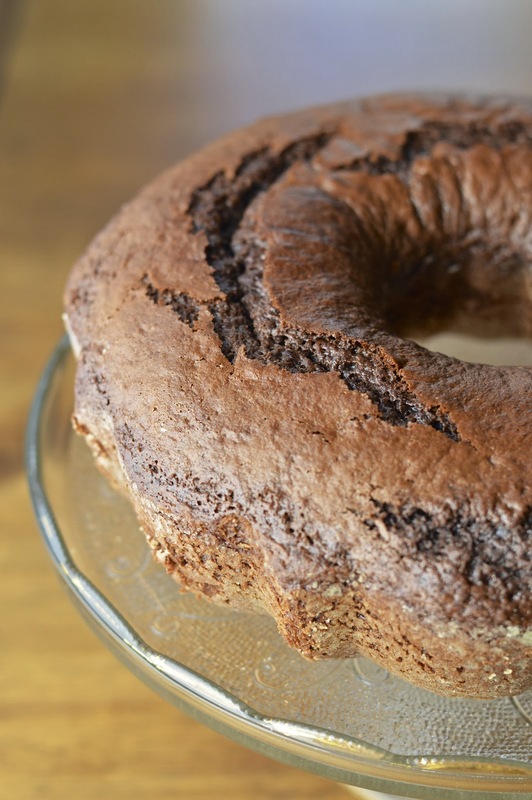 This easy pound cake quickly caught my eye and the rest is history. Of course I made a few tweaks – I converted the vanilla cake to chocolate and added some pomegranate and bubbly! I’m not a great baker, especially when kind of winging it, but this chocolate pound cake masterpiece worked perfectly. The cake was easy peasy using a mix and adding sour cream and a dash of champagne. Bake it up and walla - a beautiful bundt cake. 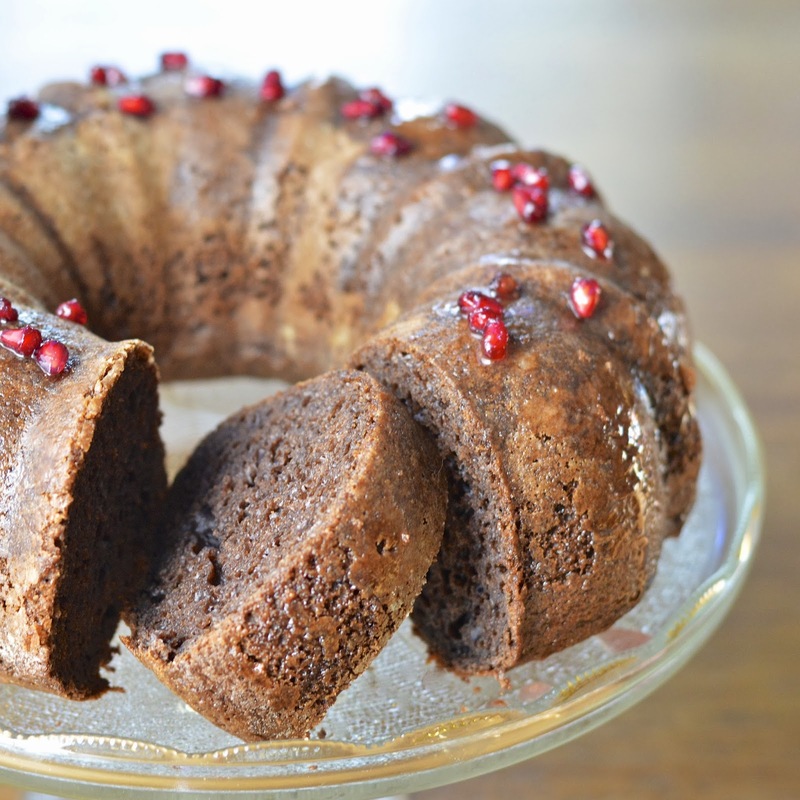 The glaze is a simple reduction of champagne, pomegranate juice, sugar and pomegranate arils. 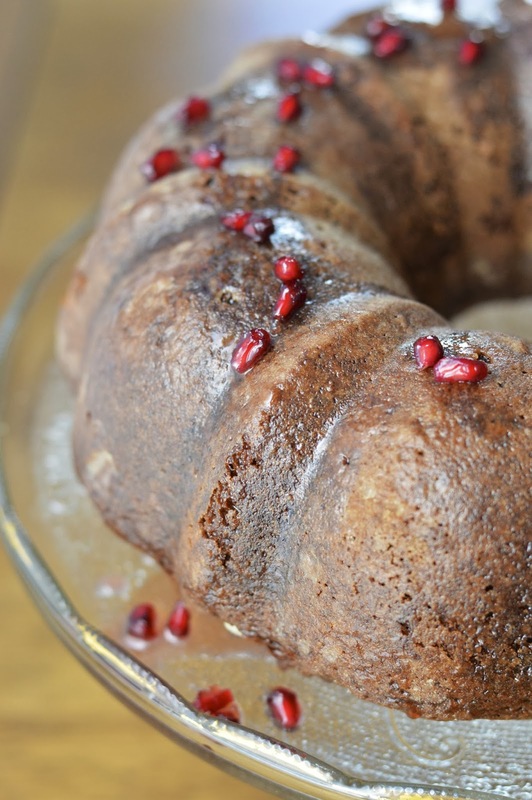 Pomegranates are a winter fruit and perfect for a comforting and cheerful dessert. You can add some whipped cream, vanilla ice cream or just eat it straight. Of course I recommend drinking a glass of bubbly along side, but it’s totally optional. Have a wonderful and peaceful New Year. Pre-heat oven to 375 degrees F. Grease and flour the sides of a bundt pan. Combne the cake mix, eggs, sour cream, oil, sugar and champagne, and beat with an electric mixer for 2 minutes. Pour batter into prepared pan and bake for 45-50 minutes or until a toothpick inserted in the center comes out clean. Cool in pan for 20 minutes and invert onto plate or cake stand. 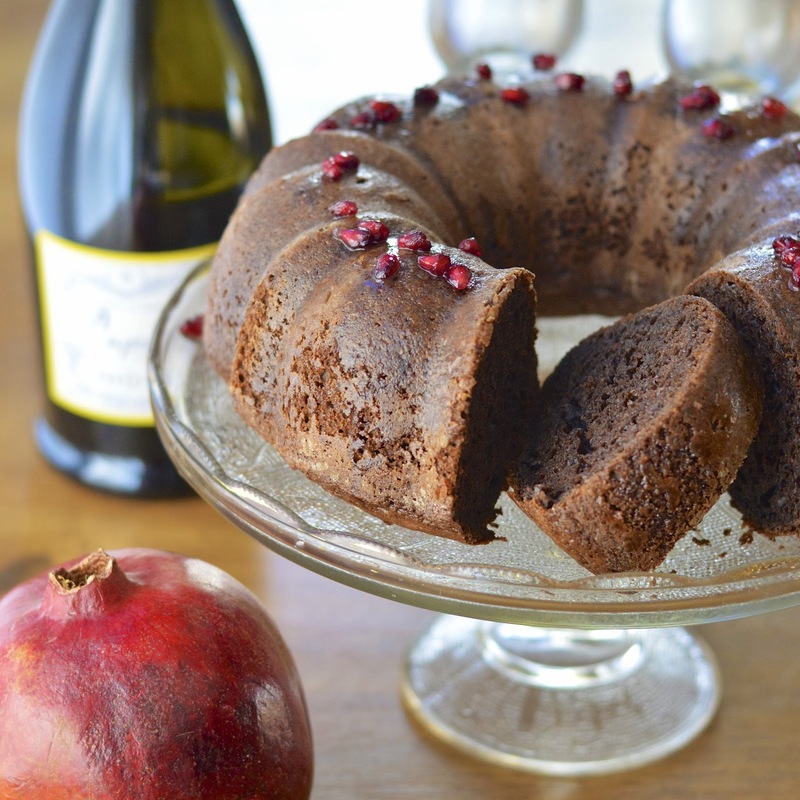 While cake is baking - combine sugar, champagne and pomegranate juice in a medium saucepan. Bring to a boil while stirring. Reduce heat, add arils and simmer for 20-30 minutes. Transfer to a bowl and let cool (glaze will thicken as it cools). Brush cake with glaze and serve sliced cake with extra glaze for drizzling. Serve with whipped cream.